Hi. I hadn't posted this before because I thought it was fixed in a late beta build, but it apparently wasn't. 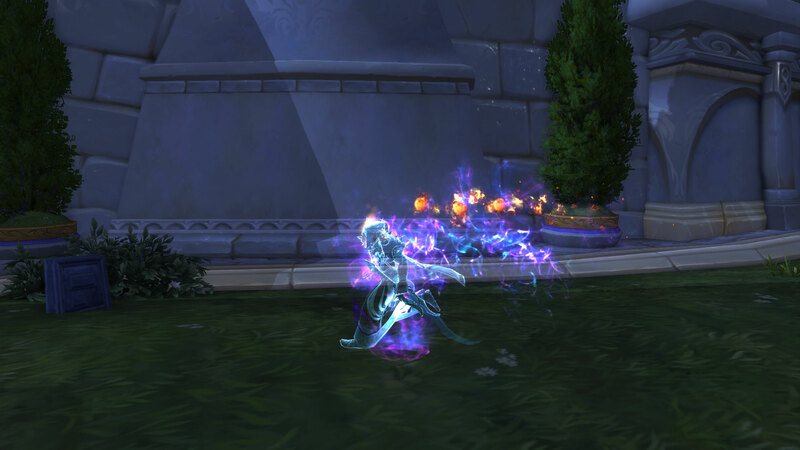 As a mage, you can have a permanent "arcane-form" if you don't want to finish your arcane artifact. Step 1. Complete the artifact questlines for the specs you intend on playing. I highly recommend finishing both fire and frost, as going back to do them after this will remove your cool new arcane form. Step 5. Enjoy your new appearance. Is this fixed? If not cant wait to try! Unfortunately I cannot test this out right now, could you perhaps try it and let us know? EDIT: Tried out today, still working.